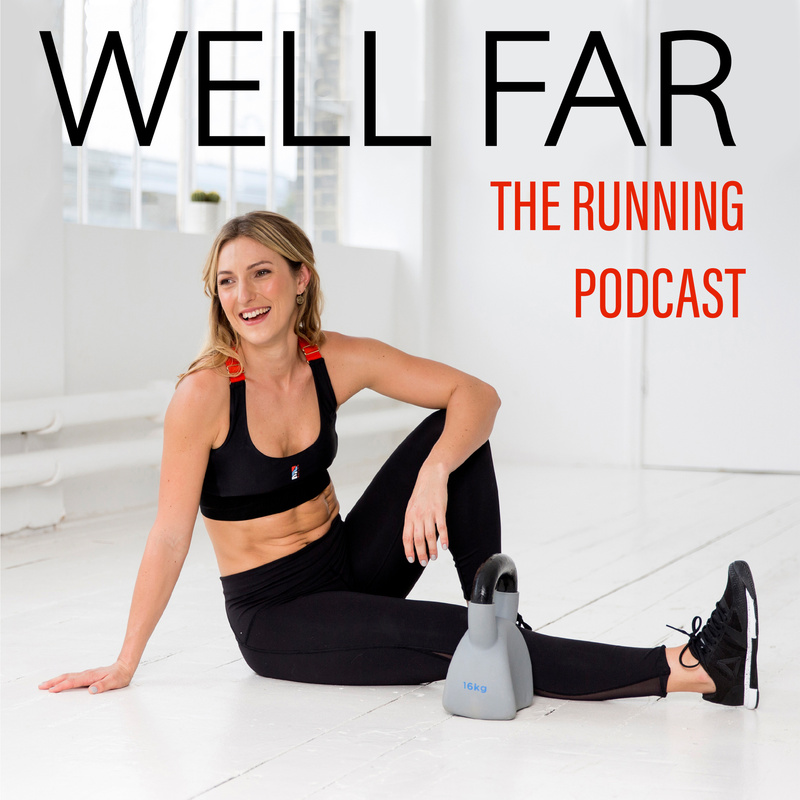 Well Far: The Running Podcast | Listen Free on Castbox. Welcome to Well Far, the weekly running podcast hosted by Amy Hopkinson, Women’s Health Digital Editor and marathon runner. Whilst training for the Paris marathon, Amy shares commentary from her own training as well as interviews with running experts and coaches and conversational pace runs with familiar faces (and voices) you'll recognise. Taking a holistic approach to health and fitness, Amy and her team of guests empower you to train well and make the distance. With a new episode launching every Sunday, tune in for your weekly marathon training companion. As Amy toes the line of Paris marathon, this week's episode covers the what, and more specifically what not, to do in the week running up to the final challenge. This week's episode is full of tips to hold your nerve and not caving into the Maranoia with Emma Kirk Odunubi, with everything from the Marathon Expo to flat lay photos to ensure you are prepared. We then head out on a final run-chat with the amazing Bryony Gordon* whose own running journey got her sober. It is a reminder to enjoy the marathon above all else and to be proud of your achievements and what your body can do. Bring on race-day! With two weeks to go and mileage under the belt, it’s time to start getting your mind race ready. Starting with the practicalities, Amy shares some preparation techniques from lessons learnt last year. We then head into the studio for some anxiety easing tips from Dr Sarah Vohra aka the mind medic who gives easy and actionable advice to help alleviate fears and doubts before and during your race. We then hit the road with Kate Carter who is running London, her 14th marathon, in a full panda suit; reminding us that it’s not all times and mileage! Anticipating pre-race nerves Amy kicks off this week's episode with marathon pacer Camilla Langlands who, along with her mother, has completed nearly 150 marathons. Together they share inside know-how on exactly what to expect on the day - from what to pack in your clear bag, the best time and place to warm up and exactly how cosy you should get with your pacer. We then step out on a run with Adrienne Herbert and learn about her running journey through success and injury and how to hustle hard when life throws you curve balls. As it hots up to the 26.2, Amy chats all things prehab with Bradley Scanes, who gives us the lowdown on common strains and stresses we experience on our joints and feet and how to avoid these when running. With 80% of running injuries occurring due to running error, Brad explains the strength and conditioning work we can put in leading up to a marathon to save us from injury. In addition to this, Amy runs with Susie Chan, ultramarathon runner and Guinness World Record setter for the longest distance for a woman to run on a treadmill. Susie talks about how she caught the running bug later in life, and how even her setbacks have given her more appreciation for the sport. As someone who has completed the extraordinary Marathon des Sables, Susie talks about how she's developed techniques on how to help keep you focused until the finish line. As mileage is dialled down this week, roles are reversed on the run chat with Amy's husband Ted interviewing Amy about her running journey to date, as well as her top tips and tricks. Before this, Amy chats to PT Andy Vincent about why prioritising rest and repair is integral at this stage of training, and how to use an endorphin fix to waylay the dreaded sluggishness. How does your period affect your running performance? This week, Amy discusses just that as she sets off of on a run with Georgie Bruinvels, researcher into marathons and menstrual cycles for FitrWoman App. Before this, Amy chats to the wonderful Euan MacLennan, Herbal Director of Well Far sponsor, Pukka Herbs, about the importance of balance throughout your marathon training and how herbs can help finetune your performance and sync with your body to improve your journey towards 26.2. This week's episode is all about cultivating mental fortitude to thrive on your marathon journey. Amy begins by chatting to the founder of Just Breathe and Boys of Yoga, Michael Wong, about the benefits of yoga and how connecting to your breath can help on your running journey. Amy then heads off on a run with Aimee Fuller, a Team GB Olympian snowboarder who will soon be adding the London Marathon to her list of accomplishments. They talk about Aimee’s ascent from childhood gymnast to Team GB snowboarder and the mental strength required to hit those kickers. There's feeling good, and then there's knowing when you're feeling good. This week's episode sees Amy chatting to the founder of health tech company Ithlete, Simon Wegerif, who talks us through heart rate variability (HRV) and how it could be the key to optimising your training. We then pound the pavement with Alice Liveing, three time best selling author and all round health extraordinaire to discuss training for positive gains. Why not jog on your wedding day? This week's episode delves into the reasons why we run and the motivation to keep us going. Before heading off on a very inspirational run with PT Esmee Anderson who defied the odds by completing a marathon (and more!) after a paralysis diagnosis that suggested she would never walk again, Amy chats to author and sports nutritionist Anita Bean, uncovering much anticipated answers to what to eat and when to eat it before, during and after training. This week Amy chats to LDN Brunch Club's founder Stephen Adjaidoo and member Francesca Menato about how finding a tribe to run with (and a tasty destination to run to) can help keep you motivated on those all important long runs. We then set off on an inspirational lakeside run with the extraordinary Katie Piper who talks about her running journey, day-to-day life, motivations and a recent stint in uniform.